Mumbai-based photographer and conversationalist Nayan Khanolkar has brought home the prestigious Wildlife Photographer of the Year Award, which is considered "Oscars of wildlife photography". The talented photographer has been invested in capturing India's wildlife on in his camera for over a decade. 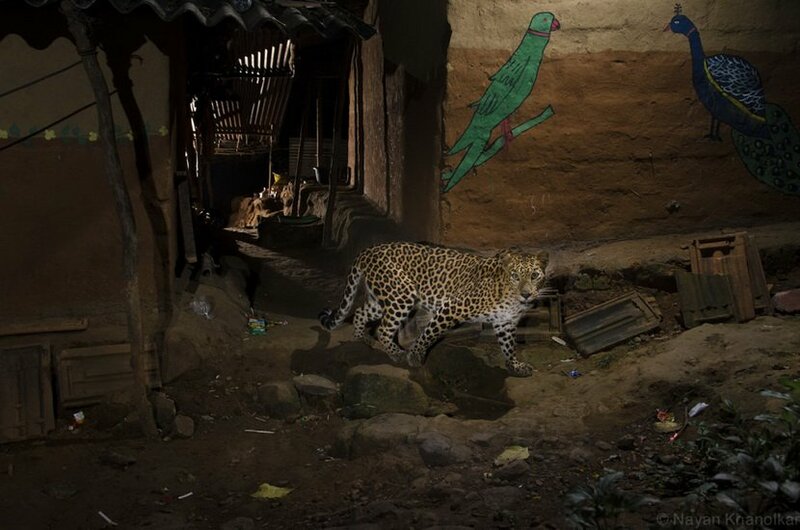 His project that won him the award, Urban Leopards, focuses on the big cats lurking in Mumbai's urban areas. The project's agenda was to raise awareness about wildlife conservation. Nayan’s inclination towards photography began at an early age. His college days were spent exploring the British Council Library and the BBC’s publications on wildlife photography. Nayan worked with National Geographic two and a half years ago, with the well-known wildlife photographer Steve Winter on a story about leopards. He has also been appointed as a jury member for several reputed awards in this kind of photography, but he strongly feels that it will never turn into a full-time career. “I will never make photography my profession. The satisfaction I get from working independently and developing my own projects is irreplaceable. I feel that working with or under someone might take away the perfection of my work,” says Nayan. Currently working as a researcher at the Bombay Natural History Society (BNHS), Nayan also takes lectures on Biology. “It’s a fact that India doesn’t have many opportunities for full-time wildlife photographers. I myself have honed the art through experience and experiments. I am someone who dedicates 10 years to a single project. When you freelance, you need to stick to deadlines which may not allow you to do justice to your work,” adds Nayan. He recalls how his project Urban Leopard was dismissed by many. “I was denied funding by several organisations. They all told me that it is not going to work. That was when I decided to do the project independently. It has been three years and the project is still in progress, but Urban Leopard has already won me international recognition,” says Nayan. He explains how his passion for the art is driven by the hunger for self-satisfaction. “I know for a fact that I will have to push myself and also pick up commercial projects in order to take care of family finances. It will never satisfy the wildlife photographer in me,” says Nayan. Nayan started his career as a researcher with the BNHS. He was posted in the Keoladeo National Park in Bharatpur for training in 1996, where he researched about eagles for a year.“The first experience of being in the wild for a year made me realise how much I loved nature. I was part of a team researching about eagles. This involved tracking, tagging and photographing them,” adds the naturalist. He feels that doing research about one’s subject of choice can make one more knowledgeable about wildlife. “If you do your research well, you are more prepared and clearer in your head, rather than shooting in the dark. ‘The Alley Cat’ was only possible because of my research on leopards,” he says. Nayan has always been interested in knowing about animals, even before his days at the BNHS. “During my college days, I witnessed and tracked the migration of about 270 species of birds in the stretch from the Thane creek to the Kalyan creek,” he recalls. Nayan submitted this shot, which would go on to win accolades, only when his friend pushed him to participate. The need to capture the leopard in a unique manner posed a challenge for him. “I didn’t want to take just another picture of a leopard resting on a tree. 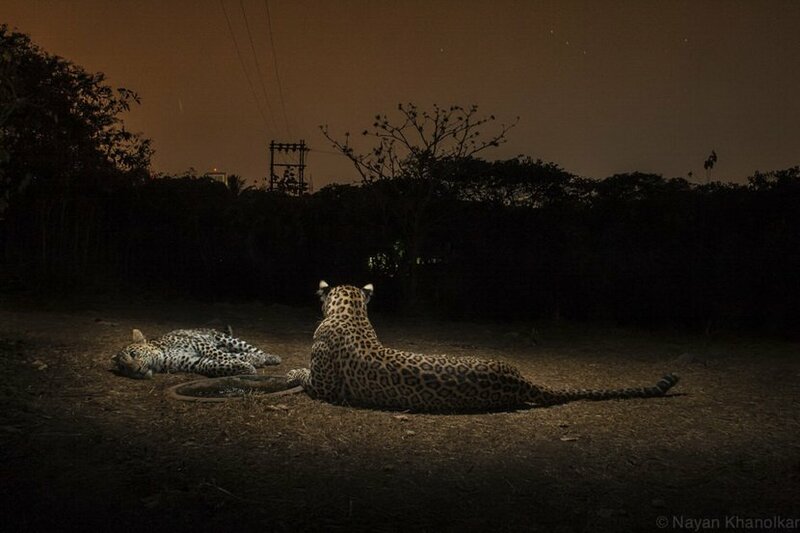 I wanted to show the relationship between humans and leopards in the suburbs of the city,” he says. He was told that these cats often cross the alleys of the village at night. “This is where my research helped me, because I could identify the claw marks on the route as pointed out to me by the locals. It took me a year to finalise my location; I didn’t just believe what anyone said,” he explains. It took four months to execute the shot, with many cameras placed according to the frame he needed. Nayan also lost one of his cameras in the process. “The shot didn’t turn out the way I had visualised it. If asked, I call this my best work, but it will always remain special,” he says. Since leopards are extremely intelligent cats, they couldn’t be fooled by the foreign objects in the area. “They are very clever. They changed their routes for months because they noticed my cameras placed there. It took them four months to trust my equipment,” Nayan explains. “Wildlife photography is all about moments. You can get super lucky one moment or can stay unlucky for years. You can only get the perfect shot if you are patient enough,” Nayan says. He narrates stories that show how his patience has been tested over the years because of an insistence to get the perfect shot. “I once wanted to get a shot of insects in the air. One year the crop was burnt, the other it was raining, the next the crop was too tall to see the insects. Wildlife photography is like meditation,” says Nayan. The project Birds of India took Nayan 10 years to complete, and the one he is currently working on can go on for at least five more years. “I don’t mind spending as much time as I can until I get what I want. The picture should match my visual sense and satisfy me. Even winning a reputed award won’t put a stop to the Urban Leopards project for me,” says Nayan. We live in an age where every other person carries a DSLR in the city and claims to be a photographer, only to cry for photo credit and likes on Facebook later. But veterans will know that nature photography does not involve just photography. Nayan believes that being a photographer is not the same as being a wildlife photographer. “I am a researcher, a self-proclaimed engineer, and a photographer. If only I knew how to cook, I would have been a complete package,” says Nayan as he bursts into a laugh. 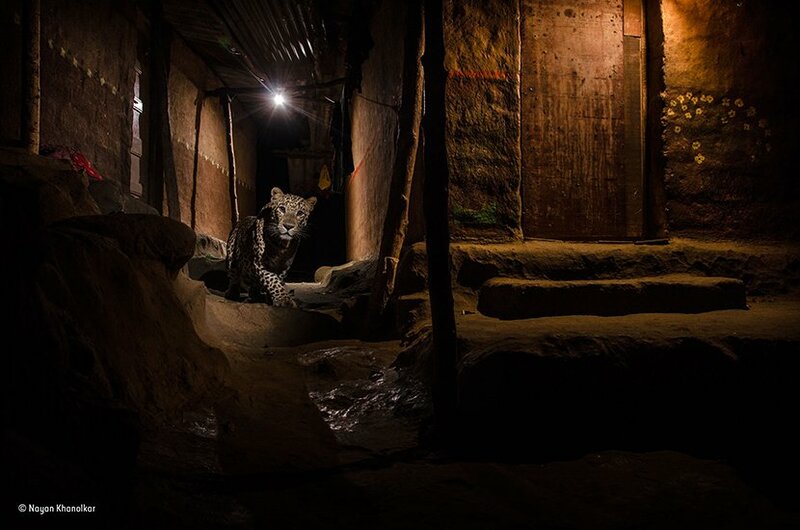 “The Alley Cat was possible because I knew that the leopards would pass by that route, due to the research I had done. I had fixed the trigger correctly and also made good use of my old equipment with the perfect angle placement, based on my initially acquired knowledge of science,” adds Nayan. He also tells me how it is necessary to have the visual of every picture in one’s head before one shoots it. “It is a process that requires thought in order to combine your unique idea into a visual and process it,” he added. The Dombivali resident believes that people hide behind their fancy equipment. He strongly feels that people are obsessed with expensive equipment just to make things easier. “I took a few shots from an old and dysfunctional Rebel XTI. The screen wasn’t working, so I connected it to an iPad. You really need to be multitalented and think on your feet,” says Nayan. Sony World Photography AwardsOpen to all photographers internationally.